Set It Up (film, 2018). A 2018 American romantic comedy film by Netflix. Directed by Claire Scanlon. Official Trailer. Set It Up is a 2018 American romantic comedy film directed by Claire Scanlon. 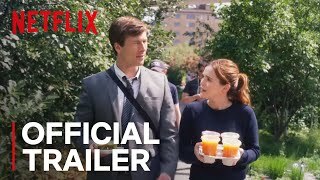 Set It Up | Official Trailer | Netflix. Harper (Zoey Deutch) is the 25-year-old assistant to Kirsten (Lucy Liu), a former journalist and now editor of an online sports journalism empire. Charlie (Glen Powell) is a 28-year-old assistant to the high-strung venture capitalist Rick (Taye Diggs). Both work in the same building and meet one night when their bosses need dinner. Harper has ordered dinner for herself and Kirsten but has no money to pay for it and Charlie, who was not able to order dinner for his boss because all the restaurants are closed, pays for it to give to Rick. After Harper tells him she will be fired if she does not return with food Charlie reluctantly allows her to take one of the meals. Meeting Charlie the next day to reimburse him for the cost of the food, Harper expresses surprise that Charlie would work for such an abrasive and demanding boss. Charlie reveals that Rick is well-connected and a recommendation from him would guarantee his financial success. Harper expresses her deep admiration of Kirsten and her desire to write the sort of sports journalism that would make people cry. After complaining that they have no time for personal lives, Charlie jokes that both of their bosses need to get laid. Harper is initially disgusted by the comment, but after some thought agrees that she and Charlie should "Cyrano" their bosses, reasoning if they are dating each other they would have less time to overwork them. Charlie reluctantly joins in on the plan. Their initial plot to have Rick and Kirsten "meet-cute" in a stalled elevator goes awry when they are joined by a delivery man suffering from claustrophobia who strips the second the elevator is stalled. Charlie and Harper then arrange for their bosses to sit beside each other at a baseball game, bribing the operator of the kiss-cam to pressure them into kissing. After three attempts, Rick and Kirsten kiss. They begin dating, leaving Charlie time to spend with his model girlfriend Suze, and Harper time to date. Principal photography began in June 2017 in New York City. 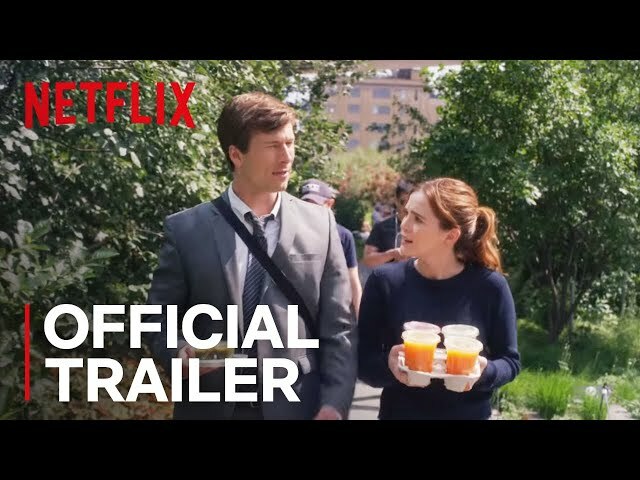 The film Set It Up was scheduled to be released by Netflix on June 12, 2018 (New York City) and on June 15, 2018 (United States). Set It Up got high rating from critics. The audience also likes the film.